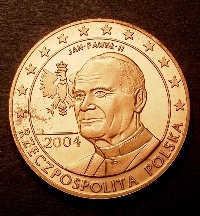 916 Poland pattern 2004 5 euros a uniface in copper. Obv. 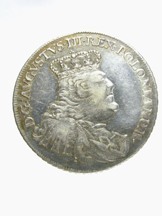 Jan Pawel II, rev. 'Model', very rare with 15 struck FDC.